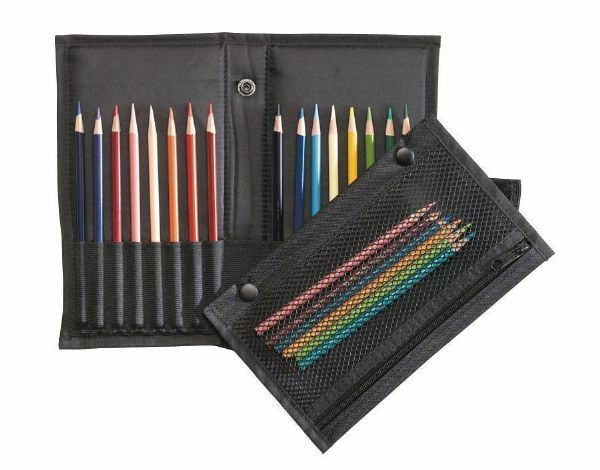 Durable black nylon pencil and brush holder with elastic webbing holds up to 16 pencils or brushes. * Snap out 3½" x 8½" mesh pouch included. 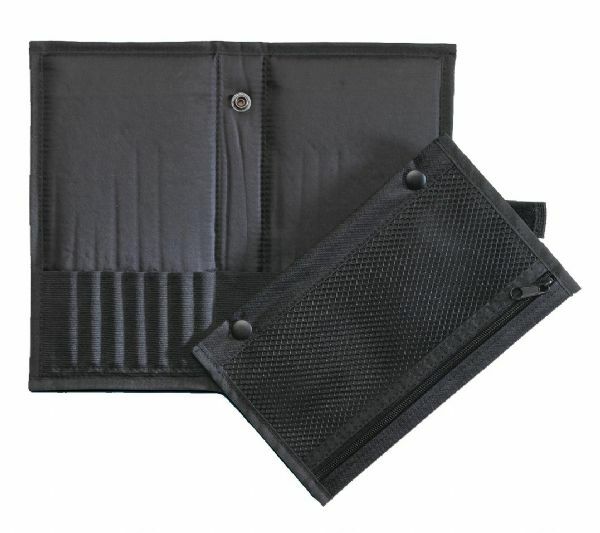 * Folds into 5" x 9" size fastened with hook & loop fasteners. 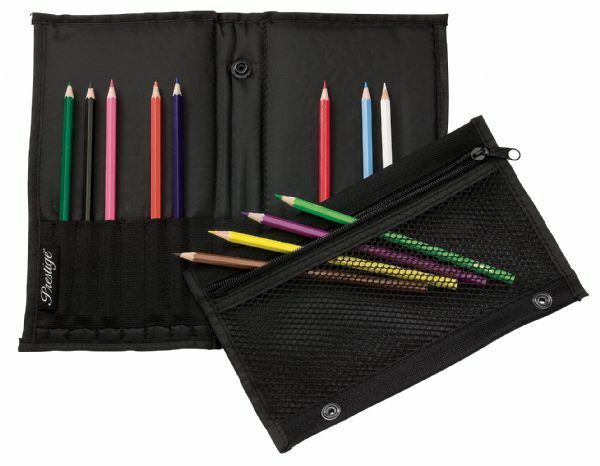 The capacity is 16 pencils. The size is 3 1/2" x 8 1/2".